So who visits the museum? That is what the Museum set out to discover last fall as we approached our first anniversary. They conducted zip code surveys in the bookstore, exit surveys and another survey administered by the American Association for State and Local History. Before I share the results museum adminstrators shared with volunteers, let me share that the museum raised the bar as far as high marks. In the first year there were 548,875 visitors. Most of the visitors were from the mid Atlantic states or states with a high Marine Corps presence (i.e. California, Florida, Texas, Ohio). There was a 60/40 split between men and women. 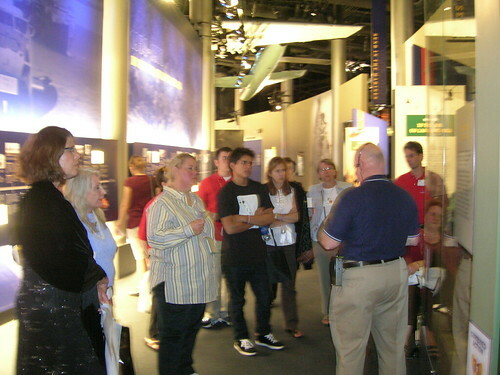 Most of our visitors came because they are/where in the Marine Corps or have a connection to the Marine Corps (45%). Another 25% said they came because they like learning about history and the final 25% said they visited because they thought it would be a 'cool' place to come for an outing. 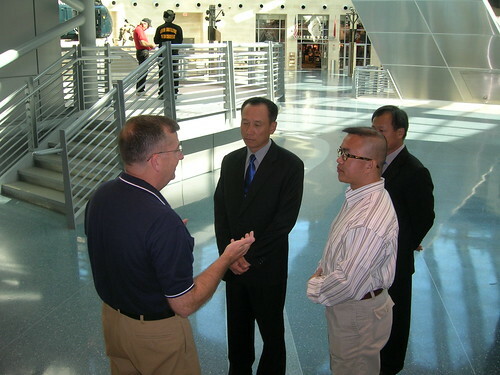 The most important ideal visitors left with was pride and understanding of the U.S. Marine Corps. Photos are of the Commandant of the Taiwanese Marine Corps (top) and Gold Star Families (bottom). Putin, Medvedev, What the Heck Are You Smokin'? Did She Just Vomit In Her Mouth? Cheek To Cheek With "Mad Dog"
Any Thoughts on the Civil Forum at Saddleback?